The leading Universalist theologian in the late nineteenth century, Thayer was born in Boston on September 10, 1812. He had little formal education, and began preaching Universalism in 1831. From 1833 to 1845 he was minister at the First Universalist Society in Lowell, Massachusetts. During this time he worked with Abel Thomas to establish Improvement Circles for girls who worked in the Lowell mills. When he was editor of the periodical, Star of Bethlehem, near the end of his ministry, he included some of their work in the publication. 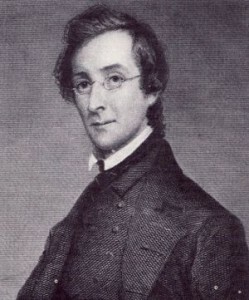 After Lowell he served as pastor at a Universalist church in Brooklyn, New York, and then returned to Lowell to again serve First Universalist from 1851 to 1859. Thayer moved on to the Shawmut Avenue Universalist Church in Boston, and began editing the Universalist Quarterly while he was there. His great work was The Theology of Universalism (1862). It was widely read, and relied primarily upon biblical foundations to support Universalist truths. It was described as “Being a Scriptural Exhibition of its Doctrines and Teachings, in their Logical Connections and Moral Relations.” He said that evil is a school, and humans did not need to change their nature, but the direction of their lives. Jesus was an example of the perfection that can be realized, and the example of Jesus can effect that change in humans. Thayer edited the Universalist Quarterly for more than twenty years, (1864-1886) and was a frequent contributor as well. Thayer believed the truths of science would not contradict the truths of the Bible, and so he was generally positive about the contributions science could make to religion. In 1881 in a review on missions he called into question why his own denomination had no presence in foreign countries. He pushed this issue for some time, and eventually the Japanese mission became a reality. Richard Eddy came as Thayer’s assistant editor in 1885, and succeeded him the following year when Thayer died on February 12, 1886. Thayer was an important Universalist intellectual leader who tried to provide Universalism with a unified system of divinity.